We'd like to thank all of our current and existing clients for a great 2014! As we start the new year, we're proud to announce that we've reached over 1000 clients using GameThrive in their mobile apps and games. 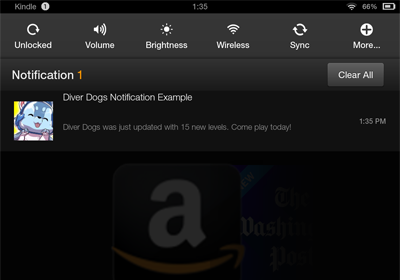 This includes Kindle Fire Tablets, Kindle Fire Phones and Android Devices with the Amazon App Store. As always, we've been making a variety of improvements to our service under the hood to ensure GameThrive is reliable and compatible with your apps, no matter what platform you're developing on. We look forward to fulfilling all of your Smart Push Notification needs in 2015 and beyond!